Better Call Bill Warner Investigations Sarasota Fl: UHURU aka BLACK PANTHERS POST ONLINE THREAT...THEY LIST MY HOME ADDRESS AND PHOTO ON THEIR WEBSITE SUITABLE FOR A DRIVEBY, SARASOTA PRIVATE EYE BILL WARNER. UHURU aka BLACK PANTHERS POST ONLINE THREAT...THEY LIST MY HOME ADDRESS AND PHOTO ON THEIR WEBSITE SUITABLE FOR A DRIVEBY, SARASOTA PRIVATE EYE BILL WARNER. "Private investigator" attacks Uhuru Movement members and leaders. Published Mar 4, 2011"Bill Warner has apparently been involved in surveillance of the Uhuru Movement for at least the past three years, but this most recent concentrated campaign of attacks came off the heels of two recent instances of resistance to the regular police occupation of the African community in St. Petersburg, Florida in which three cops have been killed." "BILL WARNER also participated in a radio show hosted by Todd Alan “Bubba the Love Sponge” Clem, who has dedicated hours of his show to slandering the Uhuru Movement and on a February 25, 2011 airing of the radio show called for the assassination of Chairman Omali Yeshitela" (PANTHER LIE). "This U.S. government counterinsurgency included the assassination of leaders like Malcolm X, Martin Luther King, and at least 30 members of the Black Panther Party and the imprisonment of many more during the 1960s". 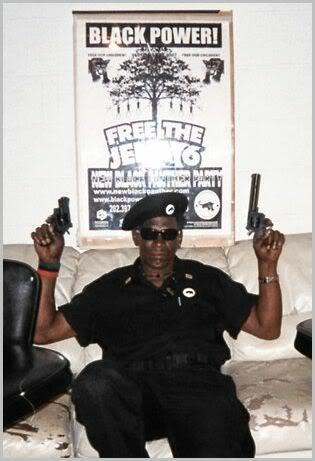 Thursday, March 03, 2011....UHURU Joe Waller aka Omali Yeshitela's son Mwamba Yeshitela is a leader in the African Youth Resistance, Mwamba Yeshitela and Weusi Africa Waller arrested running drug house in St. Petersburg. Are UHURUS calling for the assassination of private investigator Bill Warner ? The UHURUS posted private investigator Bill Wanrer's home address, a photo of his house and a map on how to get to private investigator Bill Warner's house suitable for a driveby !